“If it weren’t for these strategic campaigns, I probably wouldn’t have created the endowment,” says Fesalbon. His partner’s employer, The Boeing Company, also matches the gifts. Melinda Martin, a recipient of the Fesalbon Scholarship, began dancing at age nine but quit by the time she enrolled in community college. “I attained my associate’s degree in biology, but in the process realized that I was miserable,” says Martin. 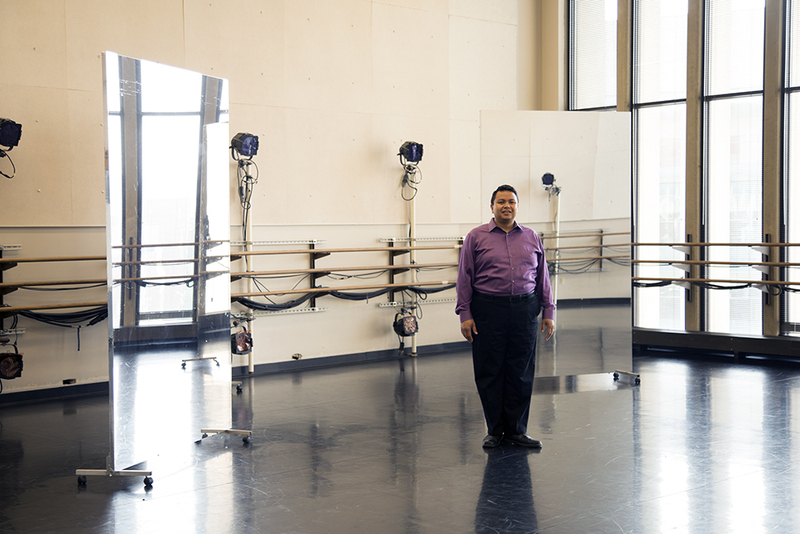 “I hadn’t danced in years, and had lost a piece of who I was as a person. So I started looking at different universities and their dance programs.” Upon acceptance to the UW Dance Program, Martin and her husband moved from Los Angeles to Seattle with their two-year-old daughter. Raising a child while enrolled in school full time is no small undertaking, and Martin had doubts she could do both. Jennifer Salk, director and associate professor of the Dance Program, convinced her to persevere. Salk also nominated Martin for the Fesalbon Scholarship. In addition to her dance major, Melinda completed the prerequisites for dental school. She hopes to eventually become a dentist. By supporting the Fesalbon Scholarship, you can give other passionate students like Melinda access to transformative experiences that will serve them in college and beyond.